At AEPi’s 105th International Convention in Phoenix, Brother Jim Fleischer (Kent State, 1993) announced that ten colonies would be receiving charters during the 2018-2019 school year. A colony is started when an interest group at a school where we do not have a chapter contacts us. 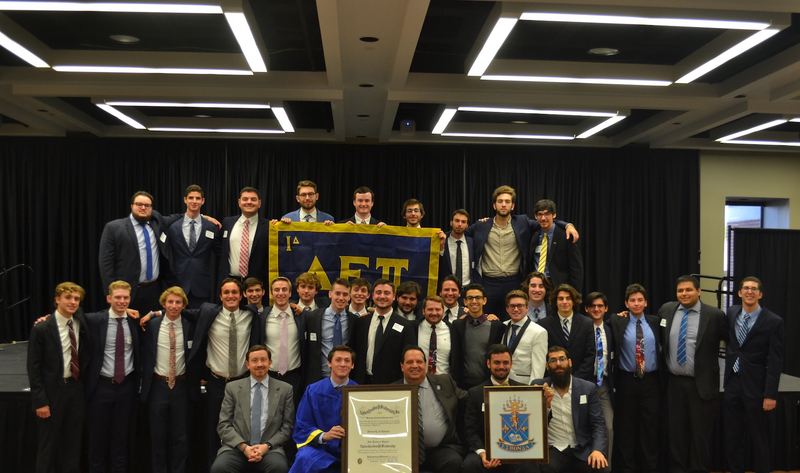 These men work hard as a colony to meet specific expectations that allow them to be considered by the Supreme Board of Governors for their charter, making them an official chapter of Alpha Epsilon Pi. This semester, seven groups which have worked tirelessly to bring a Jewish home to campus will have the honor of receiving their charter from the Supreme Board of Governors. The other three will be chartered in 2019. Paddles and tzatchkes are returned to the chapter. 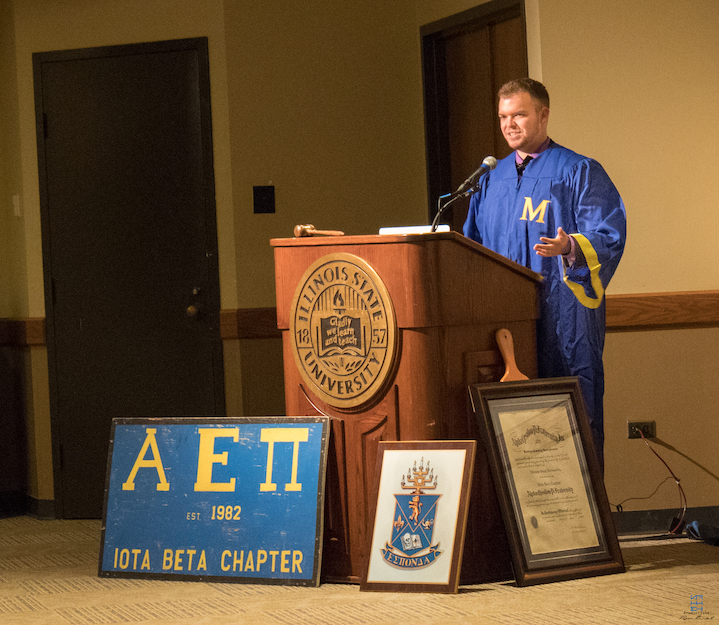 Illinois State Chartering Master Ethan Shemoney (2018) makes an acceptance speech after receiving the charter. 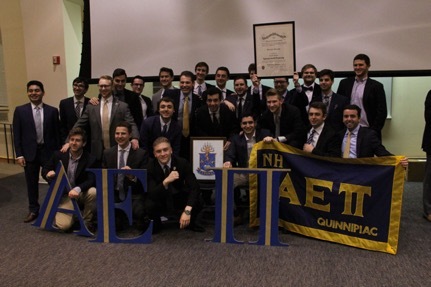 Nu Eta Brothers pose for a group photo after receiving their charter. Gamma Beta Brothers pose for a group photo with Supreme Scribe Scott Knapp (Florida State, 2002). Brothers of Tau Iota take a group photo with Educational Leadership Consultant (ELC) Justice Roy (North Texas, 2017) and Supreme Master Jeff Jacobson (Northern Arizona, 1992). Delta Gamma colony will be chartered on December 7, 2018, making it the sixth chartering ceremony this semester. The group was founded in 2016 and quickly grew. One year after they began, Grand Valley State University’s Interfraternity Council (IFC) unanimously voted to be recognize them on campus. Currently at 22 Brothers, they look forward to their ceremony. Brother Morgan Mattler (2020) was named the Outstanding Delegate at AEPi’s 105th International Convention in Phoenix. Coincidentally, on the sixth night of Chanukah our sixth chartering ceremony of the semester was held at Delta Gamma chapter at Grand Valley State University. On December 7, more than 130 Brothers, parents, friends and guests came together to celebrate. After lighting Chanukah candles and saying prayers for Shabbat, Chartering Chairman Ben Friedman (2020) opened up about the stereotypes and labels he faces every day, including being Jewish. “Everyone [in AEPi] shows me an extremely high level of patience. For the first time in my life, I feel like my voice matters.” University President Thomas J. Haas and Dean of Students Dr. Loren Rullman were among the special guests in the audience. President Haas made note of Delta Gamma’s dedication to service, congratulating the five chapter Brothers who are student senators. He said, “You’re involved, engaged and exhibiting the best of Grand Valley as well as fraternity and sorority life. You surpass your mission, making our community stronger.” Dean Rullman had a similar message, saying that Delta Gamma colony serves as a learning model for what other fraternities and sororities across the country should look like. Vav/Israel Zeta will close out 2018 with its chartering ceremony on December 31, 2018. After being founded in 2017, the Brothers quickly mobilized to become a top colony in Israel. Quickly growing to 33 Brothers, Vav/Israel Zeta works to ensure Brothers meet frequently and fraternize on a regular basis. They have raised more than $300 for AEPi’s Official Philanthropy Program (OPP). Brothers are excited to be a part of the New Year’s Celebration and chartering ceremony. After being named the Outstanding Delegation at AEPi’s 105th International Convention in Phoenix, it was clear this group was ready to be chartered. 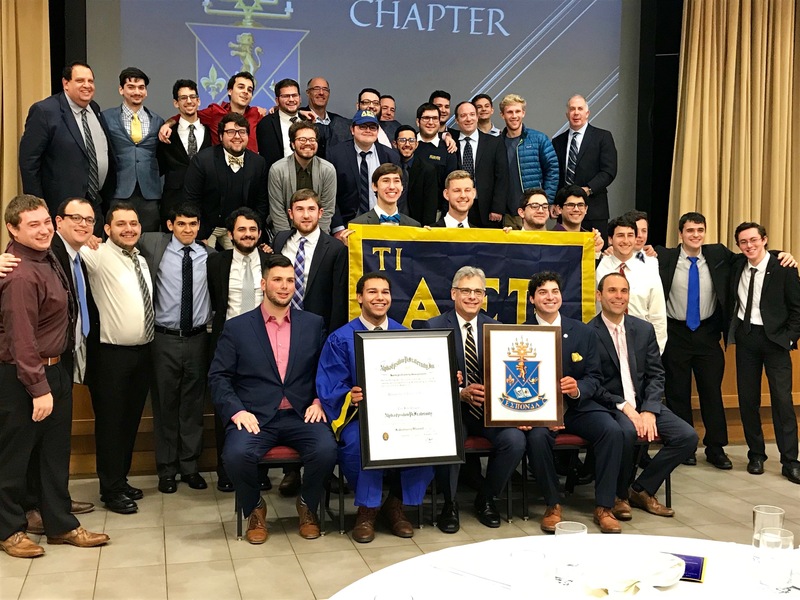 Looking to their ceremony in spring 2019, the Brothers of Mu Theta continue to work hard towards their goal of being recognized as an official chapter of Alpha Epsilon Pi. Mu Theta was founded in 2016 and currently has 23 Brothers. They participated in IFC recruitment for the first time in spring 2018. They have the highest GPA out of 19 IFC and NPHC fraternities on campus and were awarded best new student organization this year. They are a group dedicated to campus involvement as well as service and philanthropy. 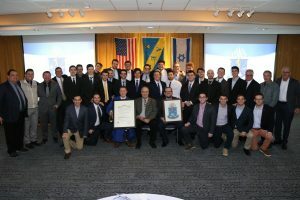 AEPi’s Psi Deuteron colony was originally chartered in 1949 and was re-founded in 2014. 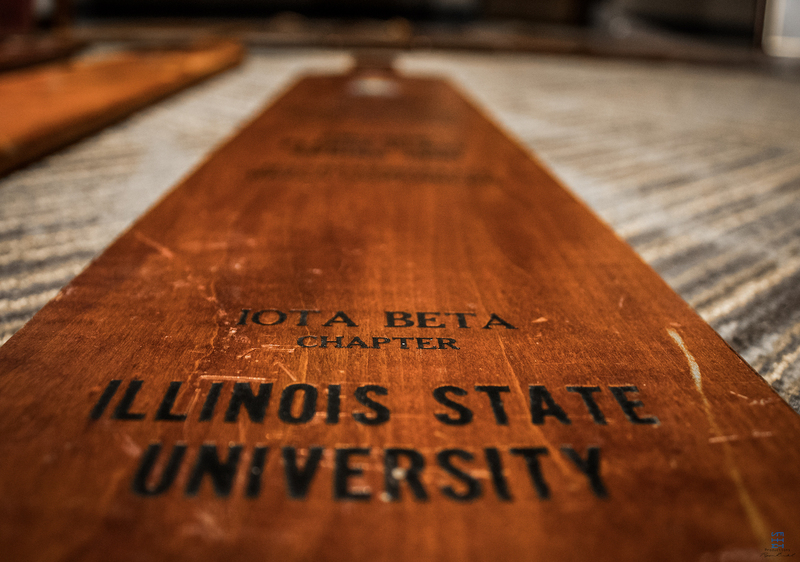 The Brothers look forward to being re-chartered in spring 2019. All 18 Brothers are working hard to earn the charter. The colony has made an effort to send Brothers to regional conclaves and convention to bolster their leadership skills. They shattered their philanthropy goal in 2017 after raising $1,800 for AEPi’s Official Philanthropy Program. They are active in other Greek events on campus and have consistently had the highest GPA of all campus fraternities.